ABH has partnered with BHF since we were established in 2007 (see Our Story) and our CEO, Phill Grigg has worked personally with BHF since his first trip to Uganda in 2006. BHF consists of a medical clinic, orphanage and a vocational school. The medical clinic treats over 1000 people each year for HIV/AIDS. This includes going into remote villages to test and treat people. They treat whoever walks through the door and the clinic can have hundreds of patients a day. BHF support around 2800 orphans from the broader district, enabling them to have access to education and health care. About 260 of these 2800 orphans have HIV/AIDS. The ‘Home Again’ orphanage has about 50 children living there permanently. The numbers are continuously growing. 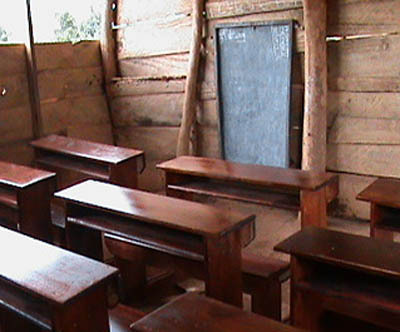 The Dorcas Vocational School was built in 2003, and is home to about 100 students. About half of these students are orphans. There is an educational component, but the students are also taught tailoring, carpentry, welding and steel fabrication. Please use this link to access the Bringing Hope to the Family web site. 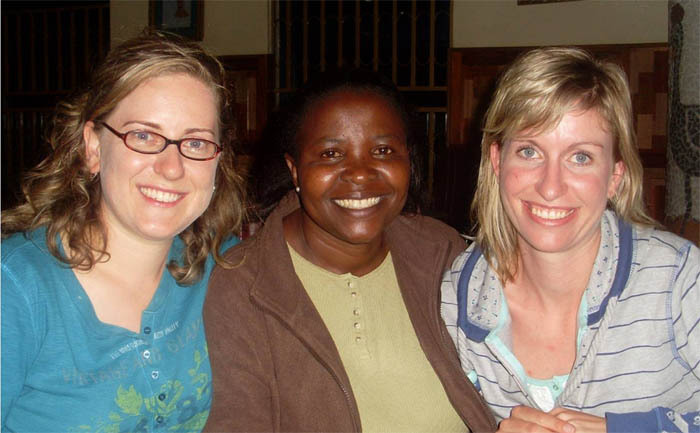 Faith Kunihura, Director of Bringing Hope to the Family with Belinda Webb and Katherine White. 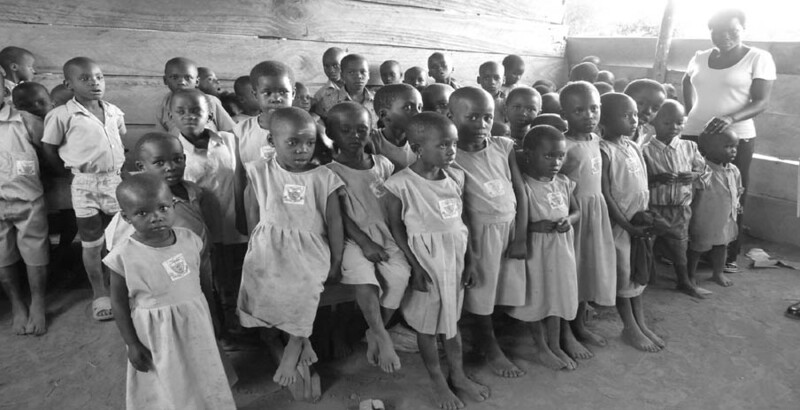 Some of the children from the Gidcco Ministries school in their classroom. Pastor Fred is the founder and director of Gidcco Ministries in Jinja, a remote and drought affected area of Uganda. This ministry cares for around 500 orphans and 200 widows. These people have been directly impacted by HIV/AIDS. Pastor Fred and his wife personally care for 14 children and young people in their home. Pastor Fred built a small school that is basically a shelter with open spaces for doors and windows, with dirt floors and until late 2008 no furniture. ABH was able to provide funds for desks to be built by Phill and his team. They built 15 desks, a table and a book shelf. The 15 desks seat about 60 of the 100 students. Phill and his team spent the majority of two days transporting the already prepared timber and assembling it on site in the basic class room.